Gone are the days when only adults used to access smartphones. Now, teenagers and even kids have an access to iPhones. Though, if you are a parent who is giving an iPhone to your little one, then you need to understand that the decision comes with a huge responsibility. Your child can get addicted to iPhone and even access inappropriate content on it. To avoid these situations, you should use an ideal parental control iPhone app. In order to make things easier for you, we have listed some of the best parental apps for iPhone of 2018. What can you do with iPhone Parental Controls? There are tons of things that you can do with a parental control iPhone app. Here are a few features of the popular parental apps for iPhone. A parental control iPhone app can help you restrict the device usage so that your kids won’t get addicted to it. There is also a feature to block certain apps as well. Parents can also block websites and restrict adult content to ensure their kids won’t access inappropriate content. Besides restricting the device usage, you can also monitor the activity of your kids as well. Parents can also block the device entirely in order to ground their kids and set restrictions. Most of these apps can also track the real-time location of the kid’s smartphone. 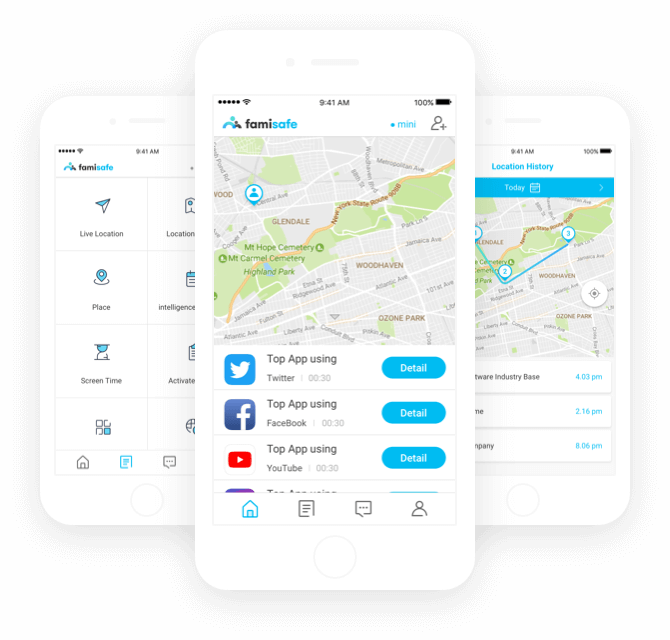 If the app has geo-fencing features, then you can get instant notifications on your phone whenever your kid would enter or leave the area. Without much ado, let’s get to know about the top 10 parental apps for iPhone. If you are looking for the best parental control iPhone app, then you should try FamiSafe. It can help you restrict the way your kids use their iPhone. Also, parents can remotely monitor the device usage as well. Easy to use, it can help you set up restrictions on the device anytime and anywhere you want. Another easy to use parental control iPhone app that you can try is FamilyTime. It can help you manage multiple devices of your family together. You can also block all the distracting apps on the device. OurPact is one of the best parental apps for iPhone that can also be used as a device tracker. It can be accessed by the entire family to share their locations and device usage as well. 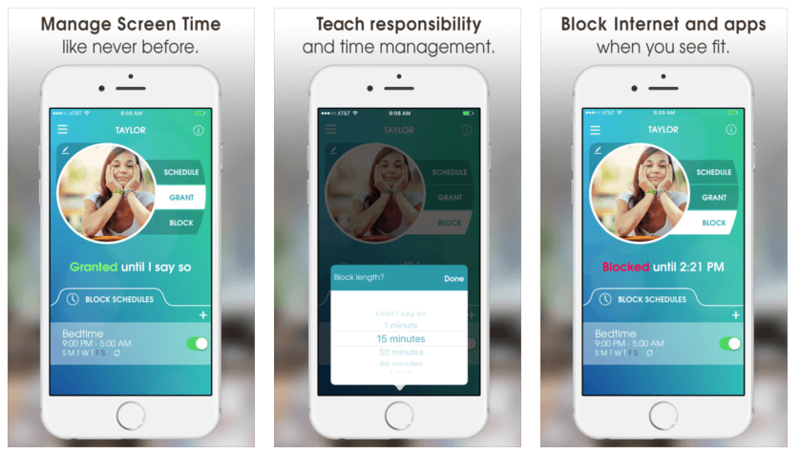 Teach your kids how to manage time with its smart scheduler. Set appropriate filters to block any kind of content automatically. 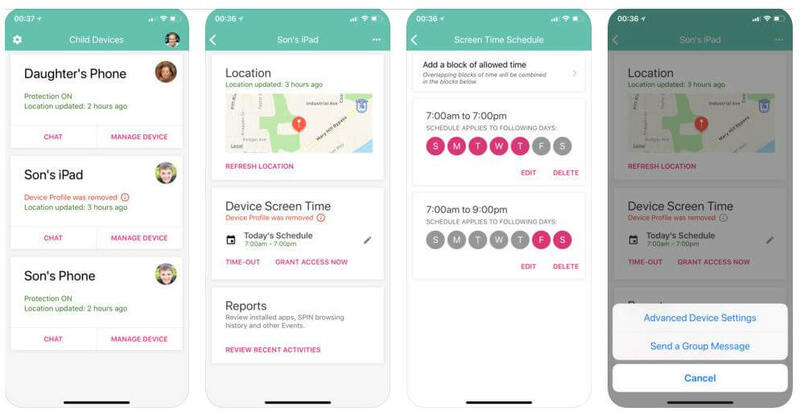 Parents can set screen limits on the device as well. You can also block or unblock an app remotely. This is a user-friendly parental control iPhone app that comes with every essential feature. There are different modes for a user as well that you can apply instantly. The app can block age-inappropriate content automatically. 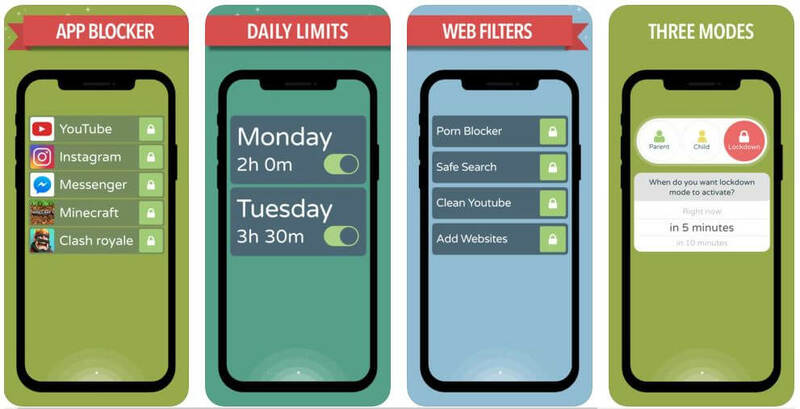 You can set the daily limits for all the addictive apps. Kidslox also supports instant app blocking. Parents can access these features remotely on their phone. Commonly known as “Screen Time”, it is one of the most widely used parental apps for iPhone. As the name suggests, it can set strict screen limits for a device usage. Though, it comes with other features as well. McAfee is already a reputed name in the security domain. 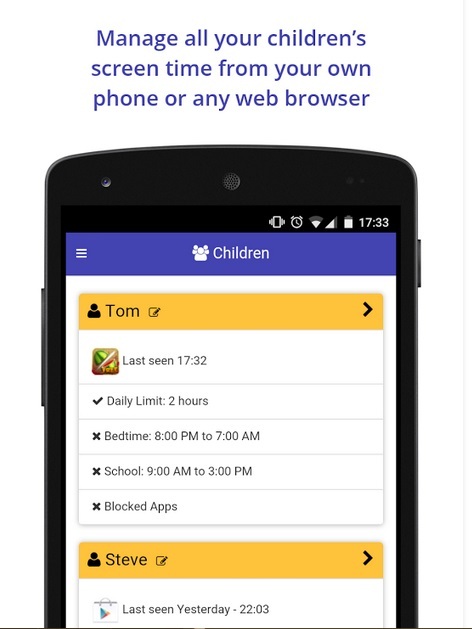 With its parental control iPhone app, you can easily restrict the way your kids use their phone in a secure manner. 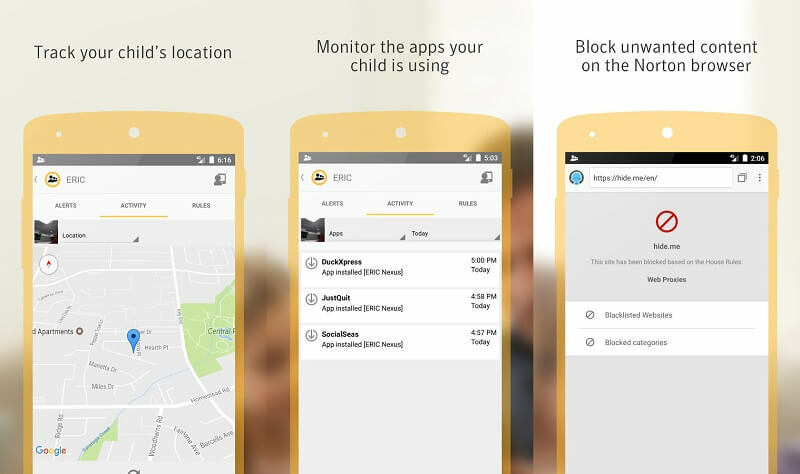 Just like McAfee, Norton has also come up with a parental control iPhone app. With us, you can block any unwanted app on your kid’s phone and monitor their device usage remotely. You can monitor multiple devices together through its dashboard. Block any app and control the access to the entire device remotely. It has a real-time content filtering tool to make sure your kids won’t access inappropriate content. One of the best parental apps for iPhone that you can try is Circle. The app is associated with Disney and can be linked with numerous other smart devices as well. 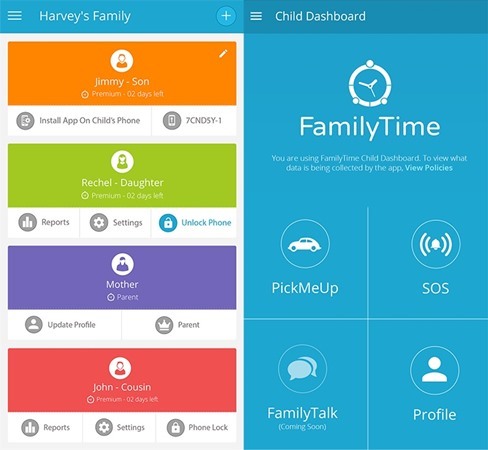 The app can link the entire family together and help parents monitor their kid’s iPhone usage. You can block any app, set screen limits, and truly control the time your kids spend on their phone. It can be linked to smart devices like routers and home assistants as well. Boomerang is a highly sophisticated parental control iPhone app. It comes with a 14-day free trial. After that, users need to pay $15 to monitor a single device. Parents can set flexible time limits on the target device. Though, you can instantly block the entire device as well. You can also monitor their browser search history and their smartphone activity. It comes with an automatic content filter. Kids need to seek for approvals before installing an app or access certain unrestricted content. 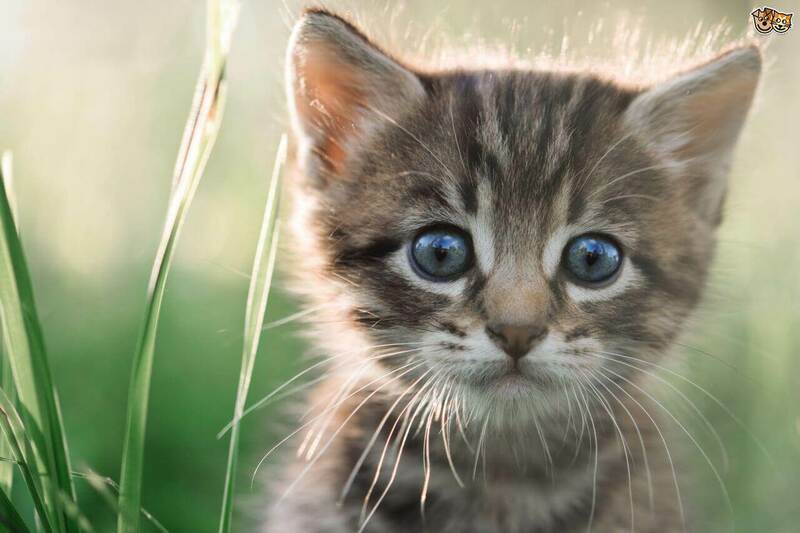 If you have a teenager in the house, then you should try SecureTeen. One of the most recommended parental apps for iPhone, it is available for Android phones and Windows PC as well. It has a remote management feature to monitor the device as per your convenience. You can easily block websites or apps through its dashboard. Parents can also track the real-time location of their kids. The app can also access the chats and messages on the device as well. After getting to know about these top parental apps for iPhone, you can certainly pick an ideal option to meet your requirements. We would recommend FamiSafe as the best parental control iPhone app. It comes with numerous features and will make sure that have a complete control on your kid’s iPhone no matter where they are.